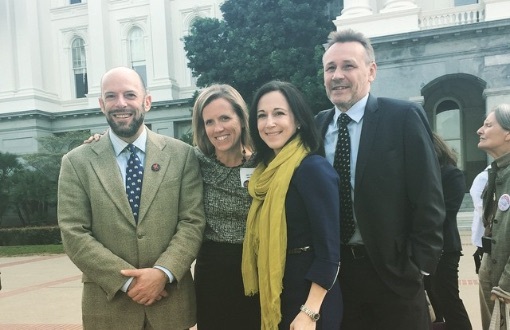 A California bill that would prohibit nearly all in-state ivory sales cleared its first hurdle on Tuesday, passing out of a state assembly committee on a 10-2 vote. Under current California law, ivory imported into the state prior to 1977 can be sold legally. But as Knights testified, criminals have long exploited the legal market to launder illegal ivory from poached elephants. According to a January report by the National Resources Defense Council, as much as 90% of ivory found in Los Angeles and San Francisco markets was illegal. If passed, California would join New York and New Jersey in closing this loophole and adopting stiffer criminal and civil penalties. Other states, including Washington, Hawaii, Oklahoma, Connecticut and Florida are considering similar bills. AB 96 would also prohibit sales of rhino horn in California, considered the nation’s second-largest market for wildlife products after New York. The bill’s limited exceptions include sales of ivory for educational and bona fide scientific purposes. AB 96 would not affect ivory passed on to family members through inheritance. Authored by Assembly Speaker Toni Atkins, AB 96 was named for the estimated 96 elephants killed each day for their ivory. In remarks before the committee, Speaker Atkins was adamant in passing a clean bill without any further exceptions. WildAid was joined by many conservation groups in attendance, including the U.S. Humane Society, National Resources Defense Council, Wildlife Conservation Society, Defenders of Wildlife, Society for the Prevention of Cruelty to Animals, March for Elephants and other organizations. Over 70 individuals offered their support for AB 96 in public comments. AB 96 next heads to the Assembly Committee on Appropriations before a floor vote. A companion bill in the state senate authored by Sen. Ricardo Lara has yet to be heard in committee. Stay tuned.